BioGaia now launches, through the partner Medhouse AB, its chewable tablets with Lactobacillus reuteri Protectis and vitamin D in Sweden. The products, BioGaia Protectis D3 and BioGaia Protectis D3+, will soon be available at selected pharmacy chains around Sweden. 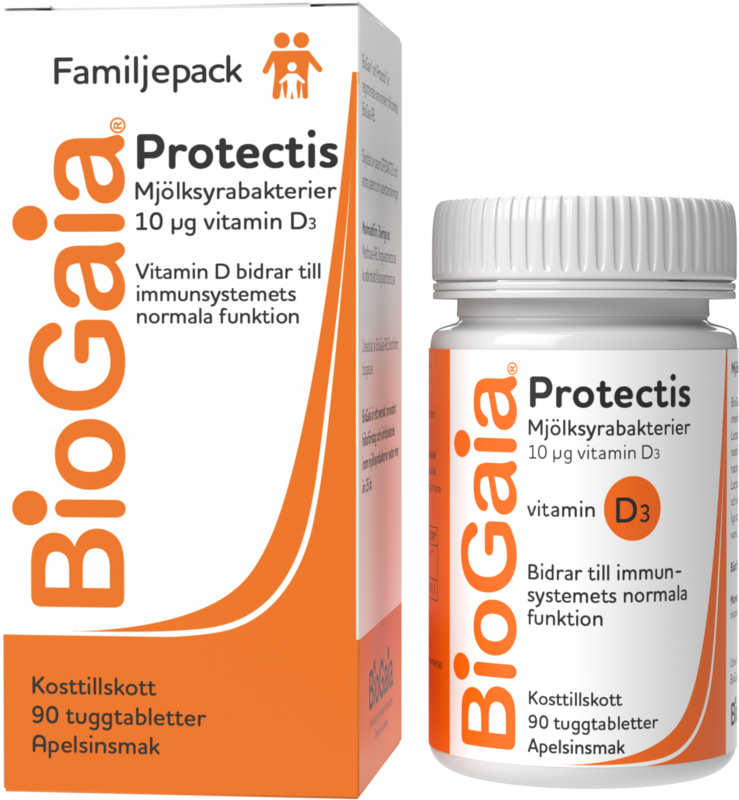 BioGaia Protectis with added vitamin D is available in two different doses, D3and D3+. D3contains 10 microgram of vitamin D, which covers the daily intake recommended by the National Food Agency for people under the age of 75. D3+ contains 20 microgram of vitamin D and is intended for adults over the age of 75 years and adults with limited exposure to sunlight or those who, for other reasons, do not receive enough vitamin D.
"I am very pleased that we are now launching new products together with Medhouse and look forward to building the BioGaia brand also in our local market. Vitamin D deficiency is common among people living in the North, especially during the winter months. Therefore, it is logical that we now choose to introduce products containing both our patented lactic acid bacteria L. reuteri Protectis and vitamin D", says Axel Sjöblad, Managing Director, BioGaia. Through Semper BioGaia's products for infant and child care are well established in Sweden since many years. Semper Magdroppar and Semper D-vitamindroppar are found in most physical pharmacy chains as well as online.